The Washington Post editorial board came out against the Green New Deal resolution championed by Democratic New York Rep. Alexandria Ocasio-Cortez and her allies. “Good intentions aren’t enough. We can’t afford bad ideas,” the editorial board wrote in its Green New Deal takedown posted Sunday. While the editorial board agreed with the broad energy goals of the Green New Deal, the Post leveled criticism against the resolution’s 10-year timeline and inclusion of totally unrelated welfare demands. 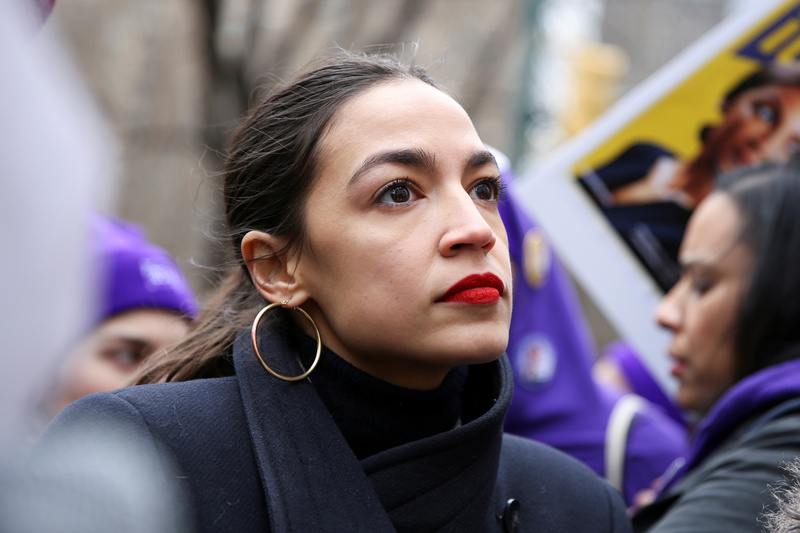 Ocasio-Cortez joined with Democratic Massachusetts Sen. Ed Markey to introduce Green New Deal resolutions in early February, which not only included aggressive energy goals, but also a slew of welfare and “social justice” goals. Republicans oppose the Green New Deal, which is to be expected, but Democrats are divided on the bill as well. A video posted online by pro-Green New Deal environmentalists showed Democratic California Sen. Dianne Feinstein criticizing Ocasio-Cortez’s resolution as unrealistic and unable to pass the Senate. The Post put forward its own Green New Deal proposal — the paper called for putting a price on carbon dioxide emissions and using government to “fill in the gaps” with additional climate policies. “Pricing greenhouse-gas emissions with a carbon tax or cap-and-trade program, the economy-wide option, is bigger than the more spectacular-sounding but piecemeal subsidy and mandate programs some environmentalists prefer,” the editorial board wrote. The Post also called for the U.S. to remain in the Paris climate accord, which President Donald Trump plans to withdraw from, and ratify the Kigali Amendment to the Montreal Protocol, which would regulate hydrofluorocarbons. Of course, the Post’s version of the Green New Deal has about as much of a chance of being enacted as Ocasio-Cortez’s bill — almost none.